Land - Hoisington Realty, Inc. Seminary Lane, Bennington. One of the last substantial building lots available in Old Bennington. Located on a quiet street with views of the steeple of the old first church and embraced by mountain views. Just over 6 acres with municipal water and sewer, surrounded by prime properties. Road frontage on two separate streets. To learn more, click here! Listing Agent: Kathleen Hoisington. $75,000. Chittenden Drive, Arlington. Beautiful 4.5 acre home site within walking distance to the village. Approved for construction of one single family residence. Click here to learn more... Listing Agent: Ann Cummings. Just reduced from $90,000 to $75,000! Horton Hill Road, Shaftsbury. 62 acres in Shaftsbury, conveniently located to North Bennington. Some open fields, hedgerows. Very nice spot to build your dream home. Brook runs thru property. Shaftsbury school district. Click here to learn more! Listing Agent: Joyce Scarey. $249,000. South Mann Hill Road, Pownal. 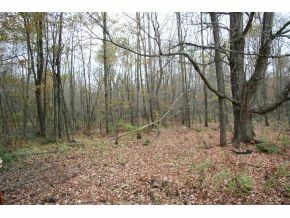 Build a dream home on this 6.5 acre parcel. Lightly wooded, possibilities of views with some clearing. Located just minutes from Williamstown and Bennington. Tranquil country setting but convenient to Route. 7. More information is available by clicking here! Listing Agent: Joyce Scarey. $99,900. Burgess Road, Bennington. Building lot just outside of town. Have your home built or bring your manufactured, mobile home to this 3.30 acre site. Just minutes to downtown Bennington. Click here to learn more. Just reduced to $25,000! Listing Agent: Todd Vosburgh. Potter Montgomery Road, Shaftsbury. Exceptional southern tri state views. Engineered and permitted for a 4 bedroom home. 11.51 acres with stone walls, seasonal brook, hardwoods and birches. Very quiet and private setting. Room for horses. Click here to learn more... Listing Agent: Todd Vosburgh. Just reduced from $145,000 to $139,000! Arlington Parcel...Ready for you to Build! Chittenden Drive, Arlington. Beautiful 4.5 acre building lot in upscale country location, within walking distance to the village. Approved for construction of one single family residence. Click here for additional information. Listing Agent: Ann Cummings. $90,000. Lower East Road, Shaftsbury. Great setting & location for building your dream home or vacation retreat. This 3.3 acre parcel sits on the site of a former saw mill bordering the furnace brook. This predominately level lot with electricity at the site, has permits in place for a 3 bedroom home. In addition there are lovely stone walls bordering the property. If you are looking for a peaceful surrounding, with an active brook and bits of history, please consider this. Nice central Shaftsbury location, convenient to Bennington. For additional photos and details, click here. Listing Agent: Suzy Yucht. $50,000.